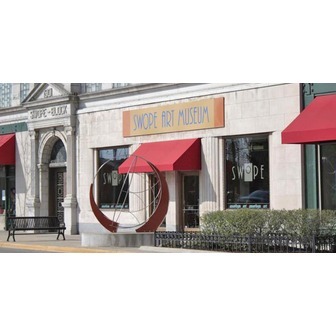 The Sheldon Swope Art Museum exists to collect, preserve, exhibit, and interpret the best of American art, with special emphasis on painting and sculpture of the first half of the twentieth century and on Wabash Valley artists past and present. 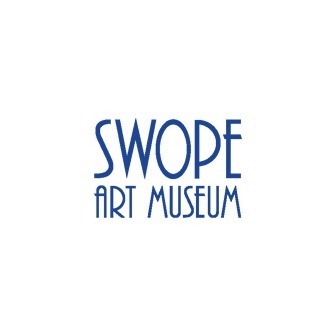 The Swope Art Museum is known throughout the world for its extraordinary collection of nearly 3,000 works of American art including 19th and 20th century paintings, sculptures, and works on paper. Paintings from our "American Regionalist" group include works by Thomas Hart Benton, Charles Burchfield, Edward Hopper, Reginald Marsh and Grant Wood. Art from the latter half of the 20th century features such notable painters and sculptors as Alexander Calder, Moses and Raphael Soyer, Robert Motherwell, Eva Hess, Robert Rauschenberg, and Leonard Baskin, as well as screenprints from Robert Indiana (Decade Portfolio) and Andy Warhol (Marilyn). In addition, outstanding art by an often under-represented group, Women Artists, is a vital part of our collection. 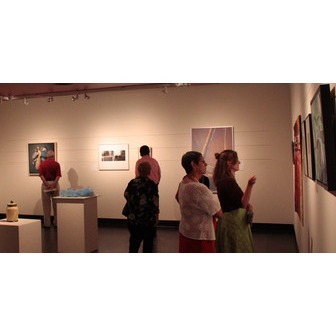 Whether you're interested in discovering more about our collection or just having an afternoon of hands-on fun, the Swope has opportunities that can help you to make art a stronger, more relevant part of your world. We invite students and educators to use our collection and programs as extensions of classroom learning through docent-guided tours and invite families to participate in special monthly activities created just for them! We also invite budding young artists to give their summers the glow of creativity through participation in our Summer Youth Art Program. Notes: Closed Sundays, Mondays and national holidays.